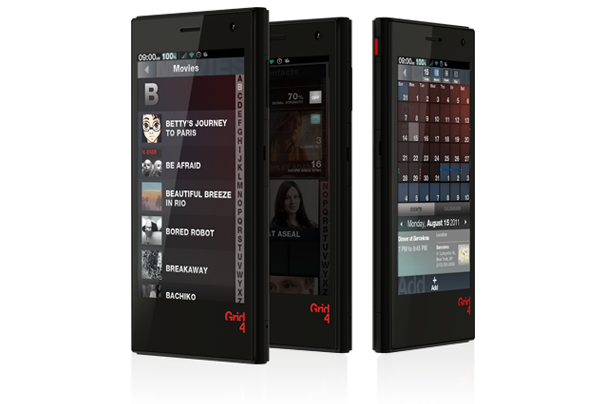 Premiering alongside the Grid 10 tablet, Fusion Garage revealed its new Grid 4 smartphone also running the Grid OS. The Grid 4 features a front-facing camera, a 4-inch display, a 1GHz dual-core Snapdragon processor, and 16GB of onboard storage. The phone will retail unlocked for $399, though there hasn't been any word on which carrier the Grid 4 will go to. Like its tablet counterpart, the Grid 4 will be able to run Android apps and will have a similar UI to what is on the Grid 10. Fusion Garage says that you'll be able to share media between the phone and tablet seamlessly; in the livestream today we saw a video started on the tablet and resumed on the Grid 4. 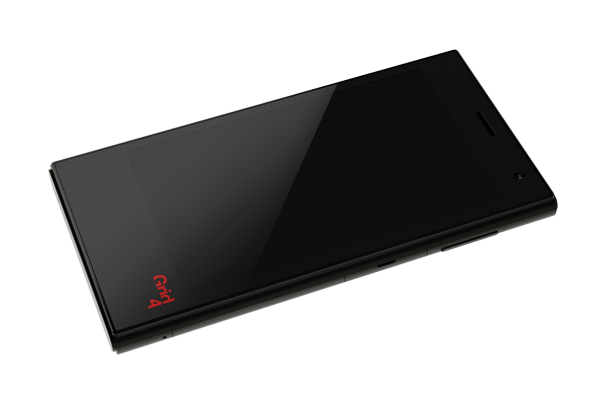 The device is button free and will be controlled entirely by touch gestures. One troubling thing I noticed was the device's battery capacity: 1300 mAh. With what looked to be a processor heavy UI, I wouldn't bet on the Grid 4 to make it for more than a few hours, let alone a full day. However since we do not yet have the device in our hands, we cannot say for sure. Update: After meeting with Fusion Garage, I managed to get a few more details on the Grid 4. Fusion Garage assured me that the device would be optimized to use the battery. While I'm hoping this means that we'll get all day use out of the phone, they did mention that the phone lasts as long as the iPhone 4. The Grid 4 was surprisingly heavy for a phone of its size. There were no buttons, and you navigated using two fingers and swiping them accross the screen. After playing with both the Grid 10 and Grid 4, I felt the Grid OS was better suited on the smaller screen of the phone. Animations looked slick, but I have to wonder if the device as a whole would have performed better if it focused less on flashy animations and more on general performance. I think I'll reserve the rest of my judgements for when we get our review unit in later in the year. The Grid 4 drops in Q4 of this year, though the interested can check out the Fusion Garage website to find out more information about both the phone and tablet. Update 2: Special thanks to Olayb9f for pointing out that the Grid 4 comes with a dual-core processor and not a single-core one like I initially thought.